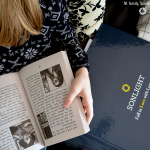 I read this article and wanted to share it with you: Bigger Than Goals: Why You Need a Homeschool Mission Statement https://blog.sonlight.com/homeschool-mission-statement.html. 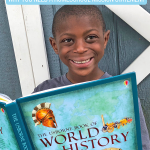 What if I told you that there was a customized road map available for your unique homeschool? A tool that would help you quickly and painlessly evaluate curriculum options on the fly? A guide that would help you prioritize extracurriculars, choose field trips, and even decide whether or not to join the amazing new co-op your church just started? It exists. And— ready for this?— it’s free. All of this and more is the territory of a well-crafted homeschool mission statement. 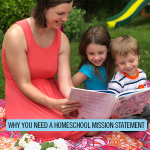 A homeschool mission statement is not a set of annual goals or a checklist of skills to master. It's much, much more. Think of it as the why behind the how of your goals. A mission statement is the purpose of your homeschool—the broad, long-term vision that you are trying to coax into reality. It applies to everyone in the family, too. While goals are individual and unique to each of your students, your mission statement is universal. 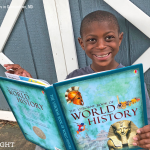 Setting goals is an important part of homeschooling. But your mission statement predominates even your goals. It tells you where a goal fits in the big scheme of things and how it should be pursued. The biggest bonus of a homeschool mission statement is the freedom offered in an automatic limiting of options. From curriculum and field trips to online classes, we are bombarded with myriad opportunities for a rich educational environment. If you’ve ever found yourself lost in a maze of incredible distractions at a homeschool conference, you know how hard it is to sort the excitement of the new from the truth of what’s needed. A homeschool mission statement blows away the chaff and keeps you focused on where you’re headed… which helps you decide how to get there! Determine why you’re on this path at all. Is it because you have a child you feel is best served learning at home? You feel that a uniquely Christ-centered education can best be offered within the structure of a family? Your husband’s work schedule is such that if your kids were in school, they would never see Dad? Whatever your reasoning, recognizing it is the first step in stating your purpose. Picture what fruit you’d ultimately like homeschooling to bear in your lives. Ask yourself what you’d like your family to look like in twenty years, and use that to state your long-term guiding principles. Think about your teaching style and methods. Are you dedicated to living books? 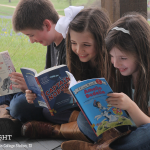 Prefer to have kids study independently? Mention that. It will help you say no to enticing options in the moment and save you time, energy, and money. When you’ve finished, write it all up in a few quick sentences. Keep coming back to your mission statement over the course of several weeks (with your spouse, preferably) to refine it into something that you feel reflects who you are, what you are working towards, and how you think it best to get there. 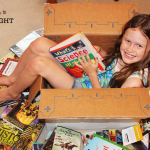 The rubber meets the road when you begin to put your homeschool mission statement into action. Spring is a great season to give yours a test run! As curriculum sales swirl, sign-ups for fall activities begin popping up, and you feel the weariness of the year settling on you, refer to your newly crafted mission statement. Someone who wrote that teaching their children to love Jesus and their neighbors was a priority would wrestle less with choosing baseball over a mission trip to serve the homeless. Someone who’s a decidedly experience-based unschooler could more easily walk away from a structured classroom co-op. Revisit your mission statement annually to make sure that you’re still on the path you intended to follow—or to refine the vision as you journey along. Apply your personalized homeschooling guide to make your job easier and to thrive as you go! 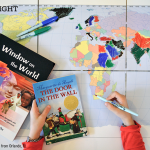 Choose a curriculum that matches your homeschool mission statement.